The Silent Isle: Take Cover: I have a Tumblr account and I'm a little afraid to use it. Take Cover: I have a Tumblr account and I'm a little afraid to use it. I have a Tumblr account. Again, I'm exhausted. I googled the crap out of Tumblr and all the "how to"s and I still have no idea how to even post a profile picture to the "About Anna" section of my page. I think my face is all squinched up from scowling at my screen and my inability to decipher not only what it is that I'm doing, but what it is exactly that I'm supposed to be doing. My dad always used to tell me that if I turn my lip up too much at shepherd's pie (which I detested), it would stay like that. I hope that wive's tale isn't true because, honey, I'm coming home to you squinch or no squinch and I'm thinking you'd prefer me without. But I know I can do this. I set up a blog. I set up Facebook. I set up Twitter. I set up Goodreads. I set up Pinterest. I set up an author page. I overhauled the look of my blog and even programmed a teensy portion of the HTML codey stuff (technical term coined by yours truly. I think it'll catch on.) I can. conquer. Tumblr. But not today because my squinch is starting to hurt, and I have to go pick up my kids from school which means my squinch will only be exacerbated by the chaos that will inevitably ensue. Bring it on. ADDENDUM #1: I figured out how to add my picture (aka: avatar) to my profile. Apparently it takes a good night's sleep to unsquinch and think clearly. ADDENDUM #2: I corrected the above link to my tumblr page because Tumblr does not, in fact, include an "e" between the "l" and the "r". Again, amazing what a good night's sleep will clarify. You know, I set up a Tumblir years ago and never used it because it baffled me. Still does. I know Kate was won over by Tumblir at AWP (and I attended the end of that panel! ), but I don't get it. I know you can be reposted vociferously, but I'm still not sold. What convinced you and why should I dust off my account, Anna? I'm not 100% sold yet, Amy. From what I have gleaned, Tumblr is like Pinterest but for writers and visual artists. And I think it will be worth my while if I can figure it out. Additionally, Amy, as I mention below to Kate, if I can link my blog to Tumblr so that all new posts are sent directly over without adding a bunch of extra steps why not have it as another peg in the platform. It's actively used. Worth a shot, I think. Bless you, Kate. 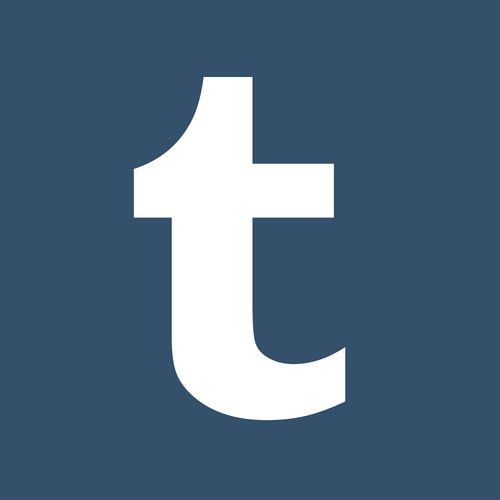 My main concern is figuring out how to have my blog posts automatically post on Tumblr. Then it would be worth my while. Can wait for the demystification! I haven't totally demystified Twitter, pinterest, or even a blog yet. Maybe I'm getting too old! :) Please demystify these for me! Instead of doing all of this "demystification" in a comment, I might just write a blog about the social networking sites I'm involved in. Sound good? I'm completely addicted to Tumblr! I still remember the best description I ever heard of how it works. I think it was Tumblr is like being in a room full of people all wearing post it notes with things they like written on them. You go over to someone, see something you like, pull the post it note off them and stick it to yourself, and walk back to show your friends. Best description of Tumblr ever!